Anne Davies had been walking her own dogs on leads at Balmedie Beach when a passer-by informed her there had been an incident further up the strip of sand. She said she soon came across the “awful” sight of a dead otter pup. As a European protected species, wild otters are fully protected, and it is an offence to deliberately or recklessly injure or kill one. After finding the otter Ms Davies called 101 and made contact with a wildlife crime officer. The otter’s body will now be examined. 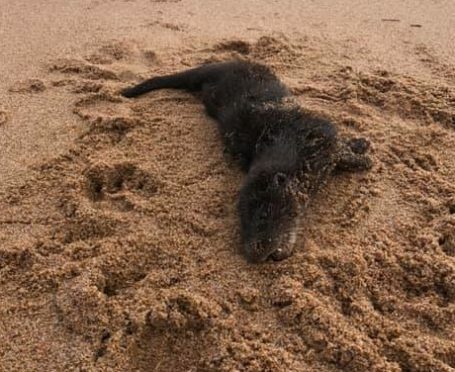 Ms Davies said: “The otter cub was around three months old and is now being sent to be autopsied by the International Otter Survival Fund. In September a swan died after it was attacked by a dog, thought to be a Labrador or a retriever, on the banks of the river Ythan in Ellon. New Arc owner Keith Marley said: “I can understand people enjoying walking their dogs off lead on beaches and in the countryside and that’s quite acceptable if you have perfect recall with your dog. The swan cared for by New Arc after a dog attack. “However few people have dogs that are that well trained and obedient. 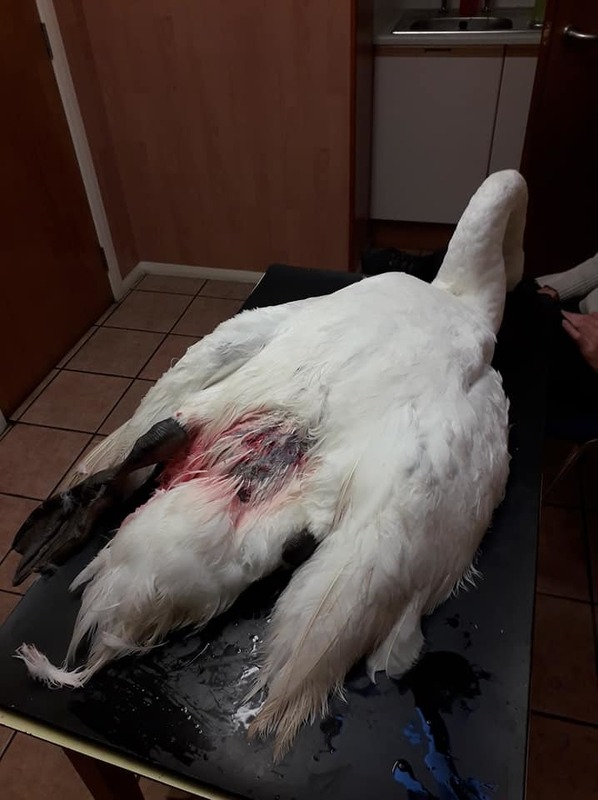 “Whether it’s due to the good weather we have experienced this year we have had a huge increase in the numbers of wildlife we have had to deal with injured by dogs ranging from pigeons to swans and rabbits to roe deer.